Great investment opportunity! 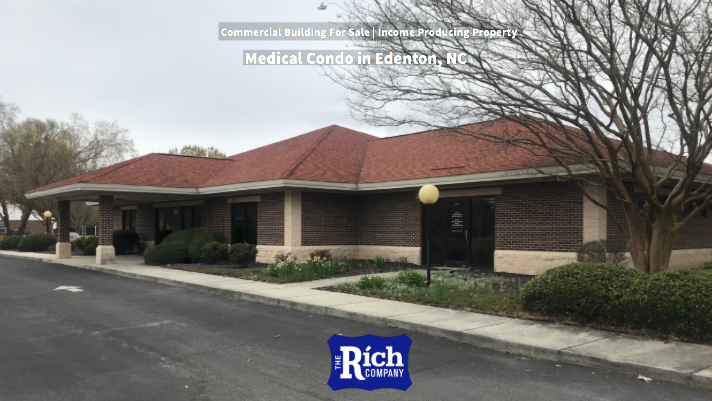 Medical Condo for sale located near the hospital in Edenton, NC. 1,800 sq ft, occupied by Vidant Physicians Office that just signed a new 3 year lease. Net Operating Income equals $25,721.61 after all expenses. Great investment opportunity with a credit tenant at nearly a 12% cap rate. Reflects an 8.35% return on investment at current asking price.